Before a structure in the City can be built, constructed, enlarged, altered, repaired, moved, improved, removed, converted or demolished, a building permit for that work is required. This includes single-family homes, multi-unit residential buildings and commercial buildings. It also includes signs, fences, patio covers, pools, hot tubs and ponds. 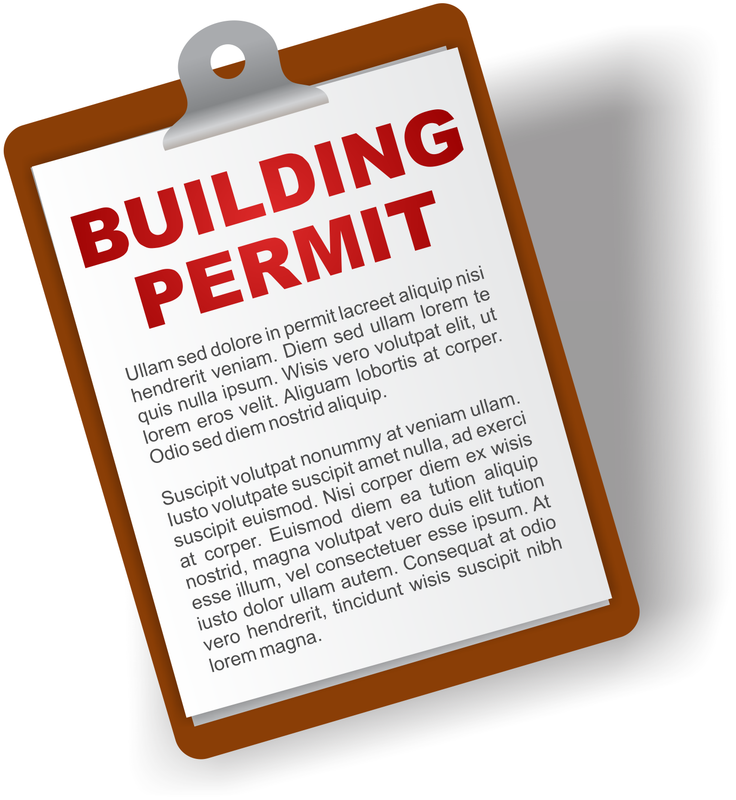 Building Permit: A building permit covers construction of the building only. Mechanical Permit: A mechanical permit covers construction of the mechanical systems of a building. Electrical Permit: An electrical permit covers construction of the electrical systems of a building. Plumbing Permit: A plumbing permit covers construction of the gas lines, plumbing lines and plumbing fixtures of a building. Swimming Pool/Spa Permit: A swimming pool/spa permit covers the construction, alteration and repair of a swimming pool/spa. Sign Permit: A sign permit covers the installation of a sign. The sign may be a monument, pole or wall sign. This list gives examples of some of the type of work that require permits. There are other work types that require permits that are not on this list. One-story detached accessory buildings used as tool or storage sheds, playhouses and similar uses, provided that the area does not exceed 120 square feet. Wood fences not over 6 feet in height and masonry fences not over 36 inches in height. Canopies or awnings attached to a single family dwelling or garage extending not more that 54 inches from the exterior wall of the building. Retaining walls not more than 4 feet in height measured from the bottom of the footing to the top of the wall, unless supporting a surcharge. Storage cabinets within garages associated with single family occupancies, when not required to be part of a fire rated separation. Flagpoles not erected on any building and not more than 15 feet in height. Moveable cases, counters and partitions not over 5 feet 9 inches high. Water tanks supported directly upon grade if the capacity does not exceed 5,000 gallons. The replacement of panes of glass within existing frames or supports unless required to be tempered glass as stipulated by Chapter 24 of this code.